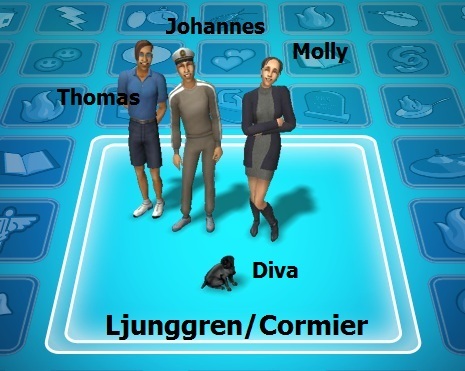 Previously at Fallåsen, Molly introduced the house and bought a dog named Diva. 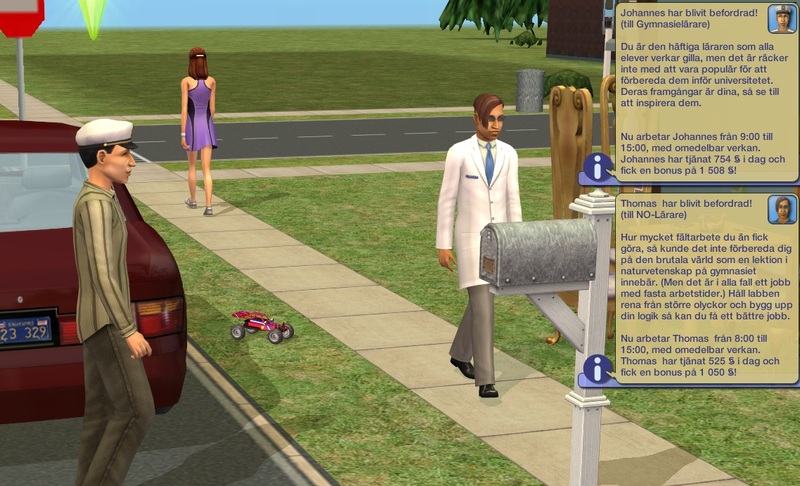 Later, Johannes, Måns and Thomas arrived to the house. 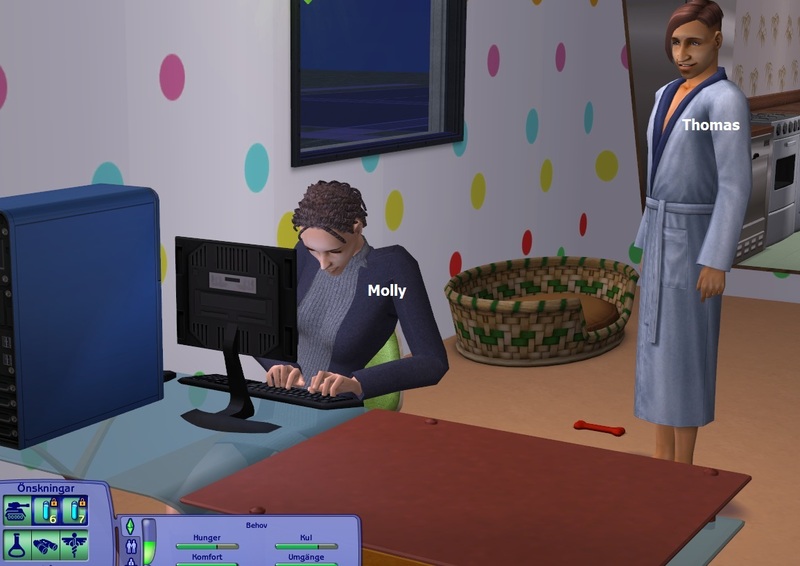 Molly got fired and couldn't find a new job in the correct career. Måns dated Melissa Montell constantly. 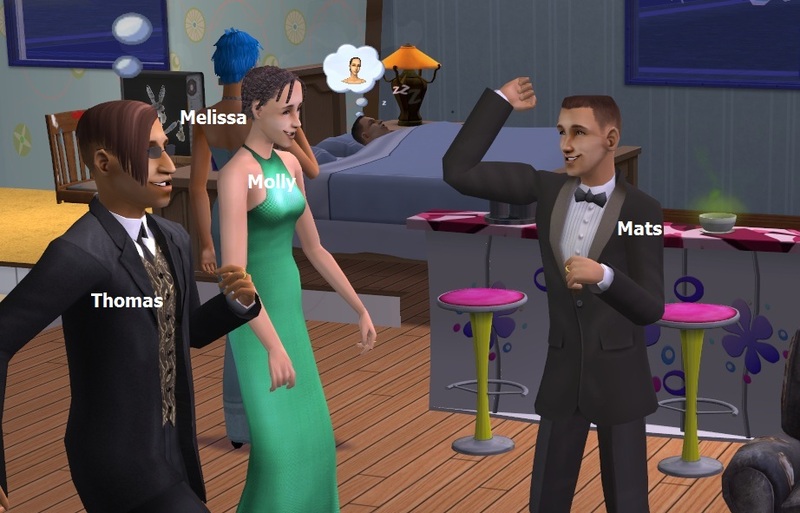 Since last round, Måns moved out and got married to Melissa Montell, so he’s out of the picture for this house. But for the moment, he concentrates on his Uni lovers, even though they live with other men. 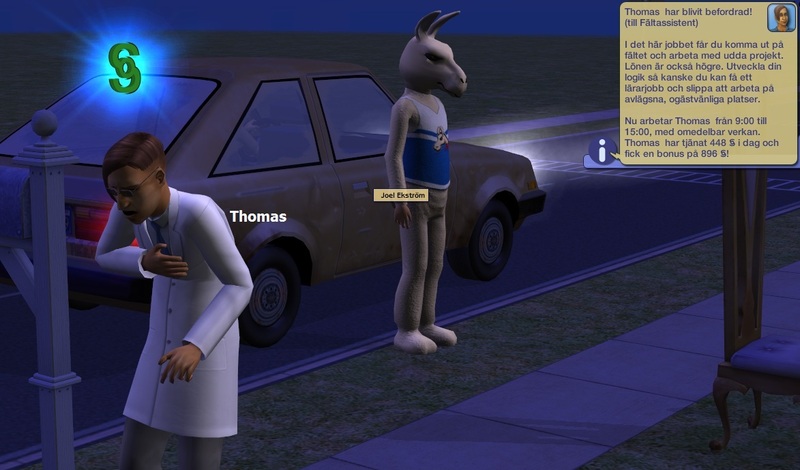 Thomas is promoted to Field Assistant and brings another Uni friend with him home. 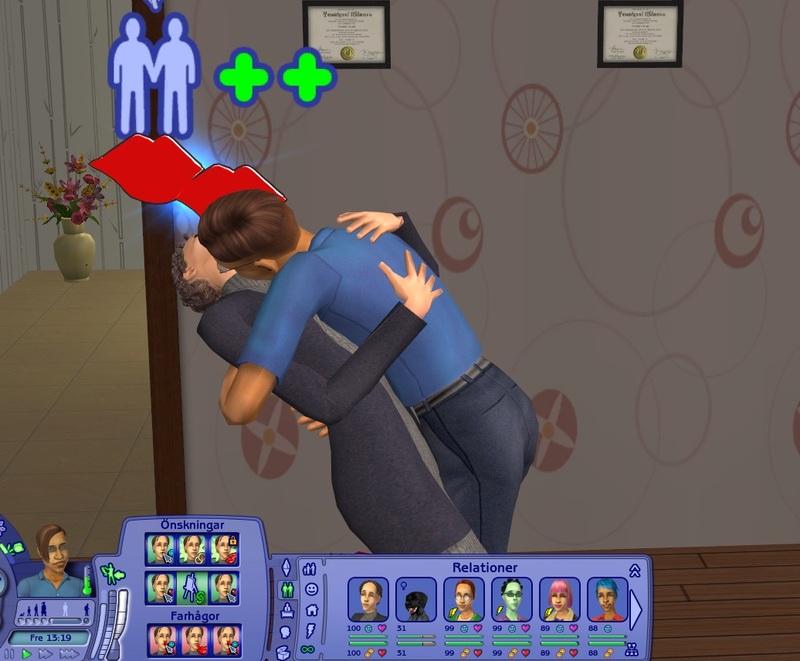 He thinks Molly is hot and asks her for a date, which she accepts, despite being gay. 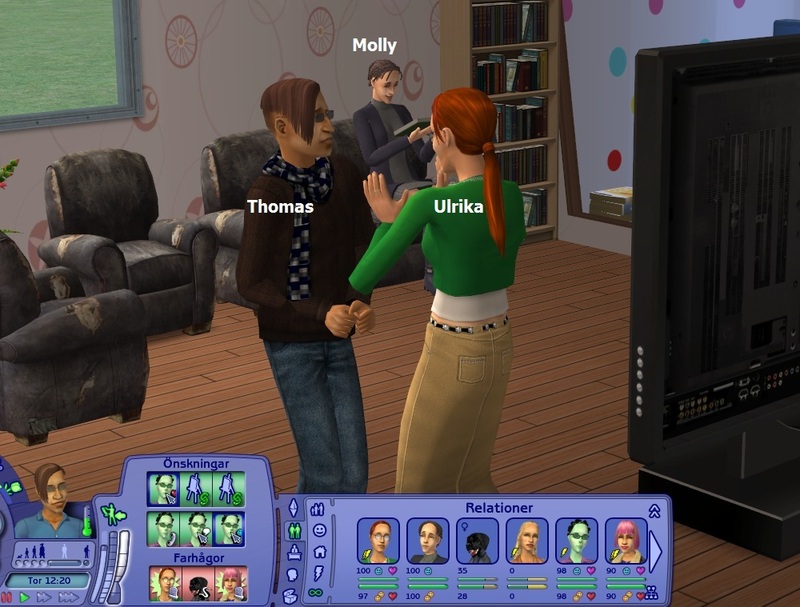 He rolls the unexpected wish to marry Molly! Still no jobs. 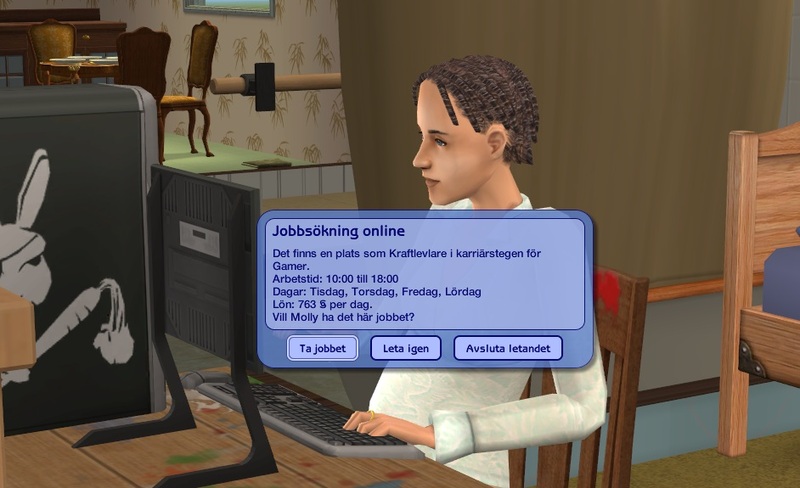 There’s something wrong with that computer, it doesn’t change the jobs each day. 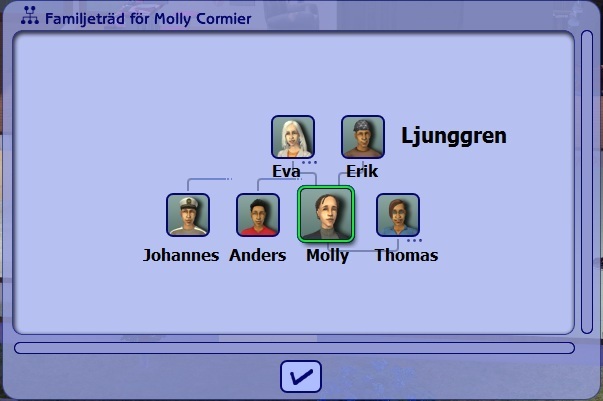 Molly comes from a family of custom townies, so she’s got two brothers, Johannes who lives here and Anders who lives with their parents Eva and Erik. 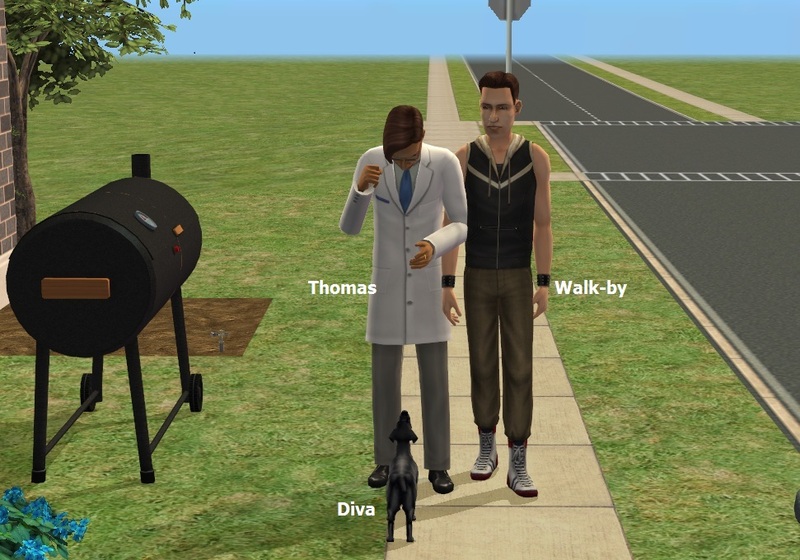 Thomas is a Maxi’s sim, but he’s still got a family. 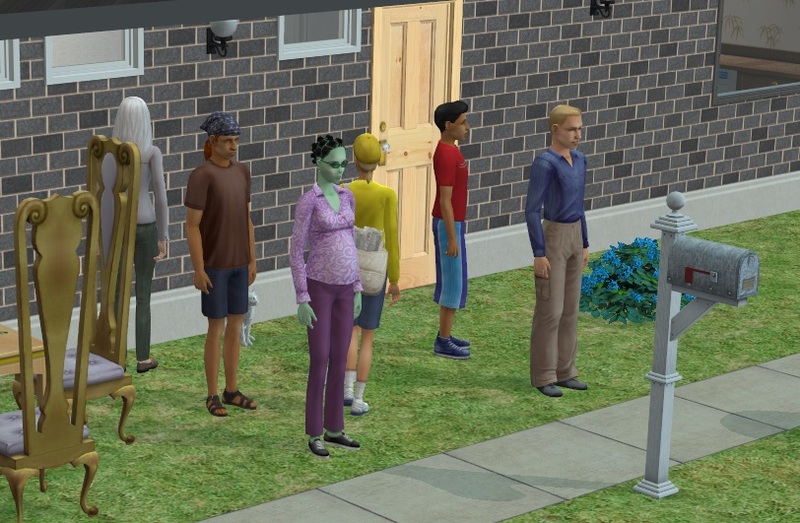 His brother Ralf is playable nowadays, but his other brothers and sisters are still townies, impossible to summon. 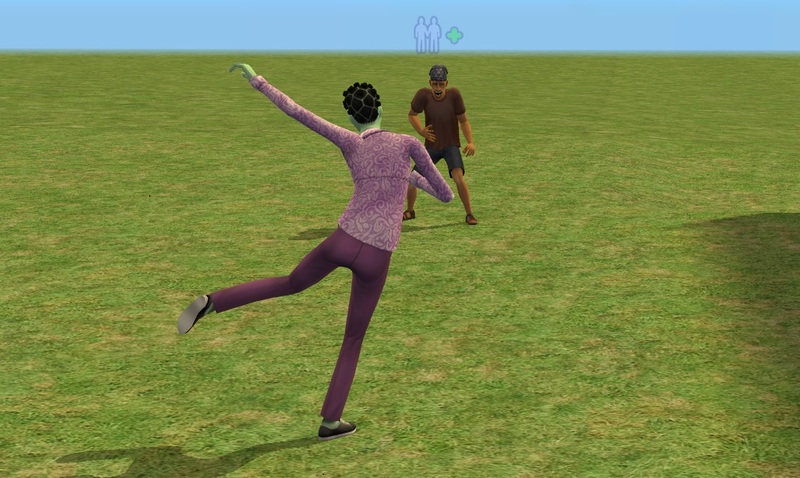 Elin, Molly’s likewise pregnant sister-in-law plays around with her father. 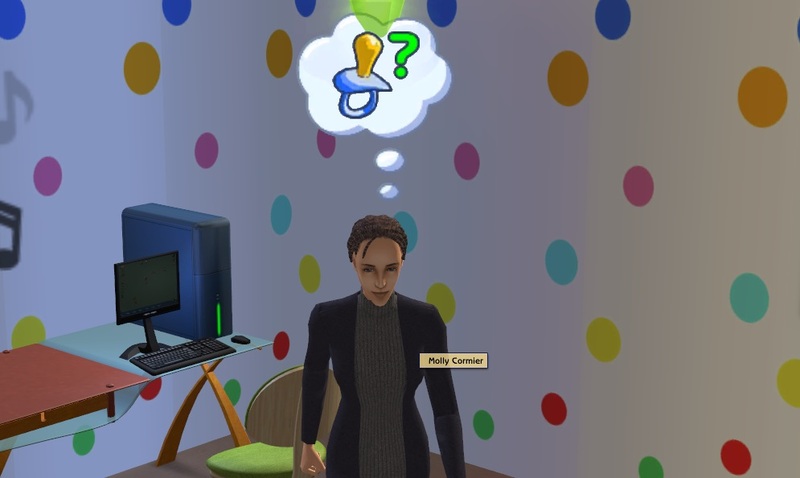 Now, when she’s pregnant, and has moved on to the other computer in the house, Molly finds her desired job as a Poewr Leveler. 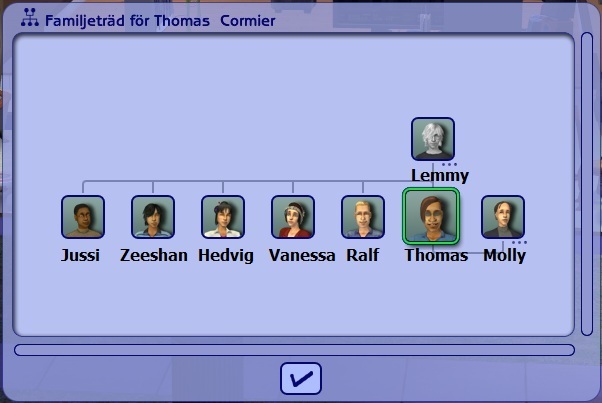 Johannes is promoted to High School Teacher, while Thomas becomes a Science teacher, even though he’s in the Science and not Teaching career. And yes, the family dog Diva is still here. She just learned the command Here. Thomas is very pleased. 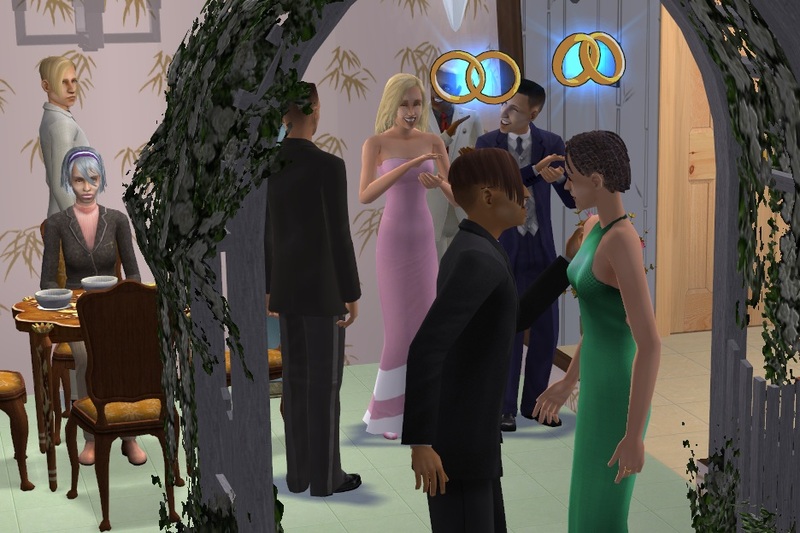 They seem happy enough about the marriage, though! Molly herself might not initiate anything bad, but her notorious lover Ulrika might very well do it! Well good for Molly, hopefully she really is happy. 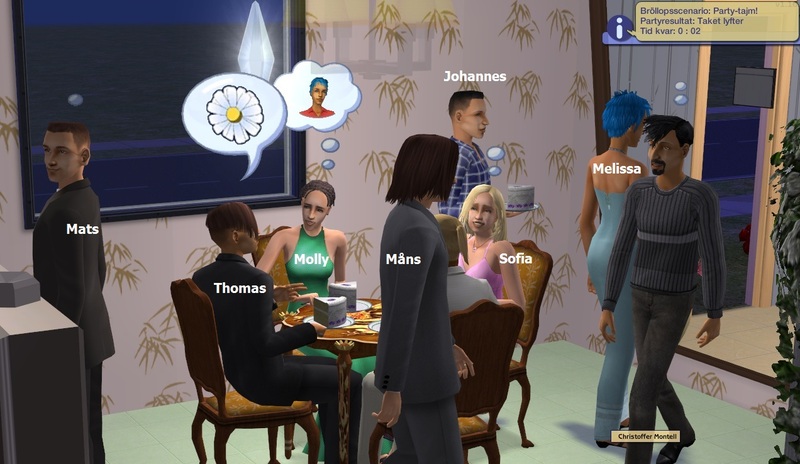 Johannes was pretty "behind the scenes" this round.